Some might say Calgary is conservative: focused on the bottom line, oil and gas, urban sprawl and giant shopping centres, but every once in a while it does something that reminds me of why I choose to live here. Last night, friends and I biked down to the beautiful Bow River (that we are blessed to have flowing through our City) to watch 500 orbs of glowing light bob downstream in the dark. And, you know, we weren't the only ones. Standing on a dark riverbank at 11pm in the middle of downtown--a place most people would be afraid to go at that time--- all joined together in mutual awe over (yes, thats right) ...public art. Check out Derek Besant's I am the River art installation which has been all around us this summer on buses and billboards. One of my most favorite contemporary Calgary artists, Calgary is lucky to have Derek. 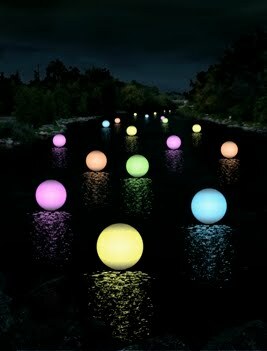 Rivers of Light is a series of Bow river-based installations by artist, Laurent Louyer and Creatmosphere Studio. 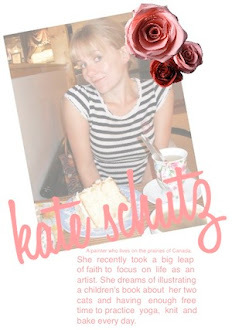 Check out Laurent's blog and this cool photo my friend took last night.